SSC CHSL 2016 Final Results to be released at SSC.Nic.In: Staff Selection Commission (SSC) Combined Higher Secondary Level (CHSL) examination, 2016 final results will be released on 16-02-2018. 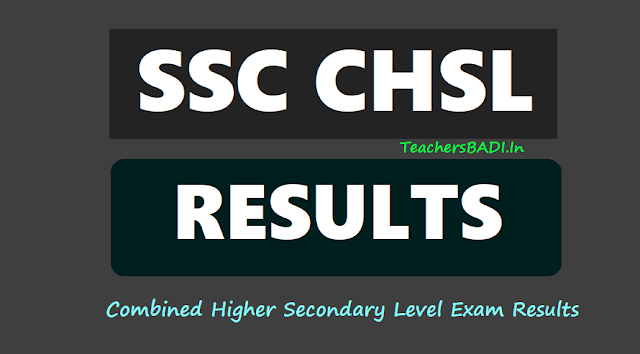 The SSC CHSL 2016 results will be released on the official website of the commission i.e ssc.nic.in. SSC had declared the tier 2 results for Combined Higher Secondary Level (CHSL) exam in October 2017. The result for SSC CHSL 2016 tier 1 exam was declared on June 2, 2017 and total of 53201 candidates had qualified it out of 3057993 examinees. In another development this week, SSC had declared the results and mark lists of Scientific Assistant in IMD Examination, 2017 on the official website of the commission. SSC IMD Scientific Assistant recruitment exam results can be accessed from the official website, ssc.nic.in. The candidates may follow these steps to check their SSC CHSCL 2016 results..